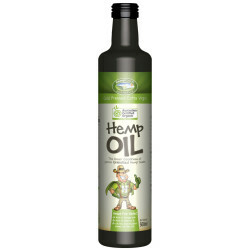 Australia Made, Australian Certified Organic Cold- Pressed Hemp Oil (Hemp Seed Oil) This is not high CBD hemp oil. This is the freshest and best organic hemp oil ever! Each bottle made from the goodness of 30,000 organic hemp seeds.